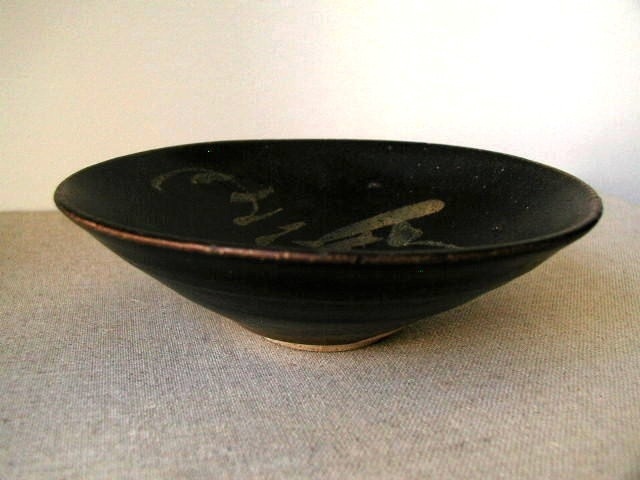 Side view of a conical shape tea bowl with brushed calligraphy and dragonfly with subtle rust color splash. Jizhou ware. Southern Song (AD1127-1279). D. 5.75 in (14.6 cm).